Ghazanfar Azzam has been appointed as CEO Waseela Microfinance Bank by Orascom Telecom Holding recently, officials at Mobilink confirmed ProPakistani. He will be leading the branchless and microfinance bank of Orascom with collaboration of its subsidiary Mobilink, having highest subscribers base of cellular users in the country. Mr. Azzam was offered to head Waseela Bank when he was already working for TCS Microfinance Bank (a definite competitor) as Chief Executive, which is also in the launching phase. Azzam is a renowned name in the banking industry particularly in microfinance model. He has 25 years of professional experience with different leading banks. Particularly he is considered as an experienced banker in retail, SME, consumer banking & microbanking, sales force management, TRG & development, establishing new lines of business & building new institutions. His key skills are strategic planning, building and leading teams, developing performance based compensation models, setting up new lines of business, restructuring and right sizing in line with changing economic and market conditions, establishing and managing projects and mentoring and development of staff. 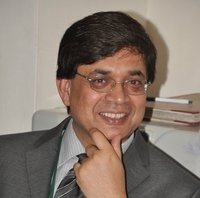 Previously, he worked with Kashf Microfinance Bank as “Project Director” for establishing a greenfield MFB. He led the bank initially as COO & then CEO from June 2009 till April 2011. When he left, the bank operated with a nation-wide network of 31 real-time online branches & 5 service centers across the country serving over 100,000 depositors and 19,000 borrowers with 500 employees. From purely a lending entity, the Bank was successfully transformed into a savings led institution in less than 2 years and FSS stood at 82 percent. The deposit growth was the fastest growth achieved by any micro bank in Pakistan ever since micro bank licensing started since 2000. Azzam also worked for ShoreBank International and Prime Commercial Bank Limited on senior positions. It may be recalled that Orascom Telecom bought license of a bank last year to establish a microfinance bank under the name of Waseela with an aim to launch its financial operations in Pakistan to bank the unbanked population. The appointment of CEO along with different board members was the major development towards the commencement of the mobile banking services in near future.